To experience the originality, to experience the traditional touch of the glorious past, your stop should be at old city, famously known as the Pink City, which is famous for magnificent palaces. The founder was Sawai Jai Singh II. To offer cordial welcome to Prince of Wales in 1876, the entire city was painted in pink color, which resembles hospitality. You cannot help marvel the architectural brain as the construction of the city was planned on providing excellent ventilation through out. You will love the exclusive artwork in the jewellery. 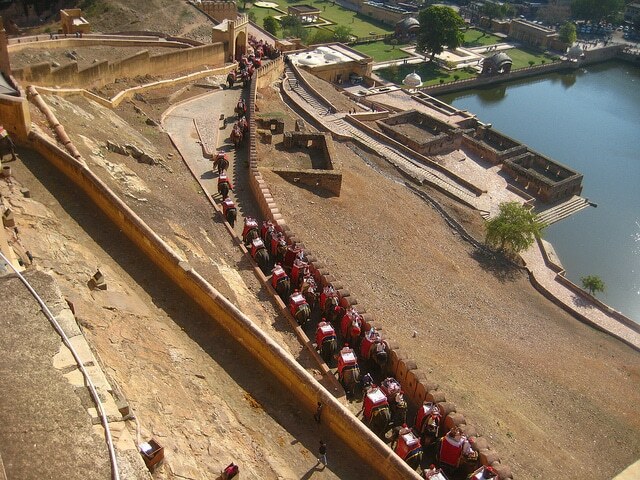 You need to commence your Jaipur tour from Pink City, considered the first planned Indian city. 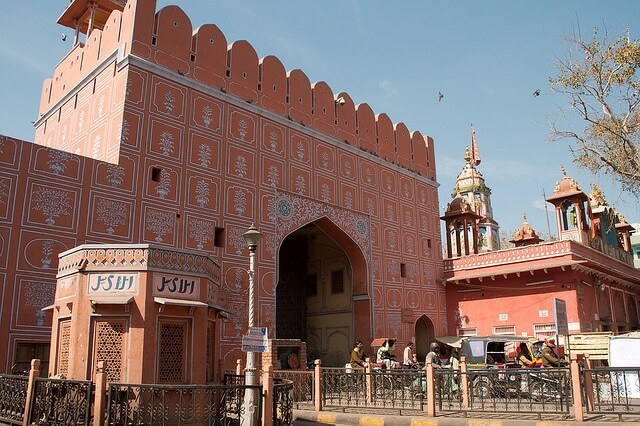 Once you are in Pink City, you will naturally be inclined to visiting City Palace, which is situated in Pink City. It was constructed by Sawai Jai Singh II between 1729 and 1732 AD. The palace complex comprises of Chandra Mahal and Mubarak Mahal. Now, Chandra Mahal has been converted into museum that houses exclusive handcrafted products and other products that depict the cultural heritage of the kingdom. Not only will you enjoy the architecture, you will be awe struck by the glorious view of Pink City from here. A stunning presentation of the rich architectural expertise of the past, Hawa Mahal is a not-to-miss tourist places in Jaipur. The Mahal was constructed by Maharaja Sawai Pratap Singh in 1799. 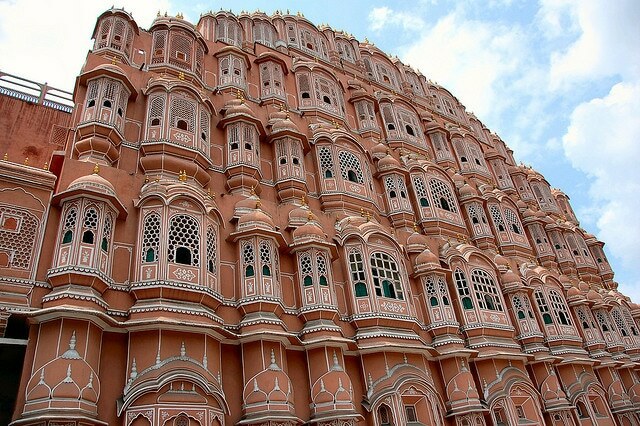 True to the name it earned as the ‘Palace of the Winds’, Hawa Mahal has 953 windows to provide ventilation. The five-storey building does not have steps to reach upper floors. Slopes connect the storeys and it is said that the Mahal was constructed to enable the Royal women of Rajput family to view the happenings in the city. You would want to visit the archeological museum in Hawa Mahal during your visit. 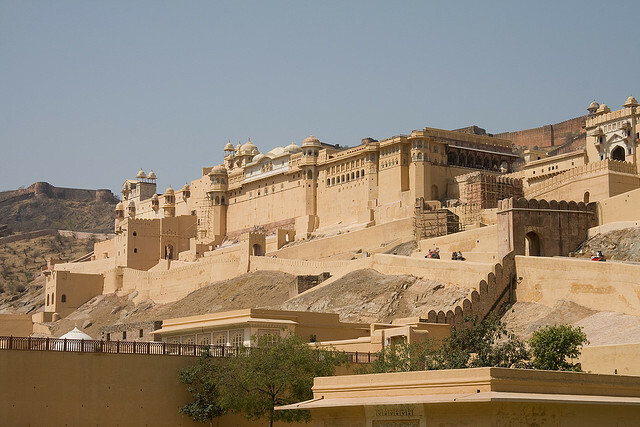 Also known as Amer Fort, it is located in Amer, which is around 11 kilometers from Jaipur. 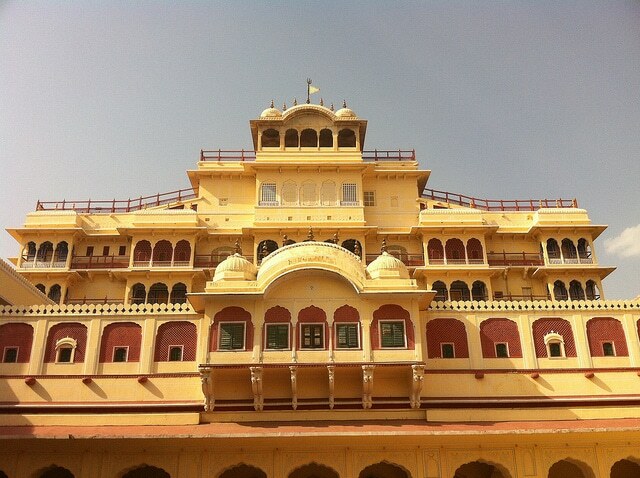 It was constructed by Raja Mansingh in the year 1592. It was later expanded by Raja Jai Singh I. The red sandstone and marble stone construction reflect a blend of Hindu-Muslim architecture. The main entrance faces east and there are three more entrances. There are four courtyards in Amber Palace. One of the courtyards has the Public Audience Hall, called the Diwan-i-AAm. The place provides you an opportunity to ride on elephant. Though it is only a ten-minute walk to the fort, which is uphill, you will want to try it on an elephant. If you have any doubts about having to spend your time at an observatory on your tour, reconsider it. Jantar Mantar is not just like any other average observatory; it is ranked amongst the largest observatories of the world. 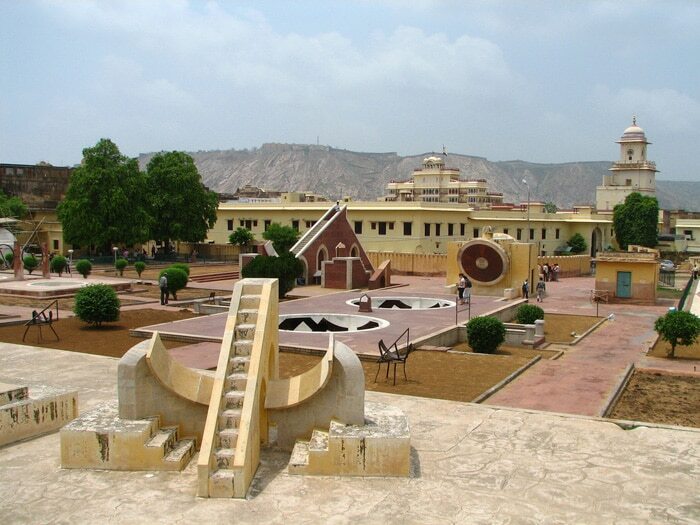 Built during the period of Maharaja Jai Singh II, the astronomical observatory has the largest sundial of the world. Maharaja Jai Singh II had avid interest in various subjects including architecture, astronomy, philosophy and astronomy. His keen interest in astronomy led him to construct the country’s largest observatory. The geometric devices available here are used in measuring time, observing constellations and orbits around the biggest star. The astrological instruments attract astronomers and architects from all parts of the world. Whatever your level of interest in space, you will be inspired by Jantar Mantar Observatory. Being in Jaipur, you would not want to miss elephant safari. If you are keen to engage the adventurous spirit in you, the hills behind Amer fort is the right place. This is where Dera Amer is situated and it is the foothills of Aravali Range. You will enjoy the elephant safari in the serene atmosphere. The ride will take you through fields, fortress and to the camp in the middle of Aravali forests. The picturesque landscape and the stunning beauty of the forest will elevate your spirits. If you love to experience your adrenaline rush, you need to opt for night safari. Whichever time you choose, you will be provided excellent meals that would keep your taste buds engaged. Jaipur is not just a tourist spot. It is a destination to learn, enjoy, wonder, experience, ponder and get adventurous. There are a lot more places to visit in Jaipur that you need to visit but if you are short of time, ensure that you do not miss the list given here. A perfect way to spend your vacation and you will definitely want to revisit. Apart from Jaipur, there are many more popular destinations in Rajasthan; kindly visit: tourist spots in Rajasthan to learn more about them.